I can’t deny it. Sarasota, Florida has a bit of a traffic issue during season. I hear many complain and some people actually have solutions. I am not an engineer so I don’t have a clue as to how this can be fixed. People are not going to stop relocating to Sarasota. It is just too beautiful. But, if you have an idea, suggestion or solution, here’s a chance to make a difference. The City of Sarasota will host a Traffic Summit to explore ideas about how to ease the traffic congestion on the causeway and at its intersections with U.S. 41 at one end and St. Armands Circle at the other. Southwest Florida cities saw strong population growth last year, with neighboring cities to the north and south of Sarasota seeing a 2.3% growth in population. Sarasota saw a 1.8% increase in population. Local growth is attributed to increased interest in downtown living, the improving economy and a wave of annexations years ago. 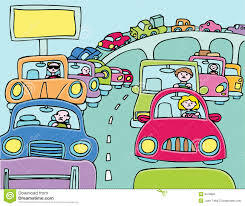 But, with this increase in growth and our seasonal visitors, traffic has become a nightmare for locals and tourists. Thus the call from local City Commissioner Eileen Normile to host a traffic summit in July with roadway planners and neighboring jurisdictions. The public, public officials and local businesses should get involved and offer solutions. According to Zac Anderson’s article in the Herald Tribune, “All interested parties should participate, and all ideas should be on the table.” A date for this meeting has not been determined. Watch your local news for an update or return to SarasotaNext.com for an update. Next Post Have You Heard of This FREE Insurance Plan To Cover Mortgage Payments If You Lose Your Job?